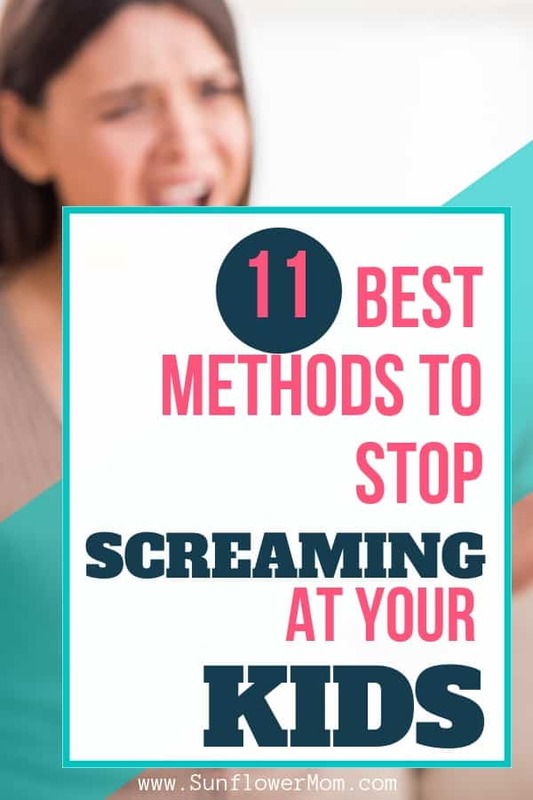 Inside: Break the habit of yelling at your children with these 11 little known tricks. Live scream free with your kids. I asked my 7-year-old to throw his paper plate in the trash. He said no and walked away. Before I knew it, the noise level in my house exploded. Yelling ensued. Why can’t my children do what I ask of them? I don’t ask very much. Soon my other child would be forgotten but scared and crying off to the side. The emotional upheaval in my house escalated quickly but would take a good hour to bring everyone’s emotions back down. My son and I found ourselves in a power struggle for years I tried to solve with yelling. I often didn’t even realize the struggle we engaged in until it was too late. Later, after everyone calmed down I’d understand the unlying cause of the tension and yelling. I’d vow to do better next time. But guilt alone wasn’t enough to change the yelling pattern. Although all parents struggle with yelling at their children, single parents face a unique problem. When you’re a single parent, you don’t have another to parent step in and tap you on the shoulder and say, “calm down, let me take over.” You don’t have another adult present to notice other children not involved are scared and need to be comforted and taken away from the confrontation. If you have a strong-willed child, you cannot see past what your emotions are at the moment to understand the real reason they are so upset. The yelling at my house had reached an almost daily occurrence. Screaming seemed to be the only way my child and I knew how to communicate with each other. I had a feisty child who wasn’t backing down. At the time, I saw him as being defiant towards me, but now I see he was refining me in areas I needed polishing. 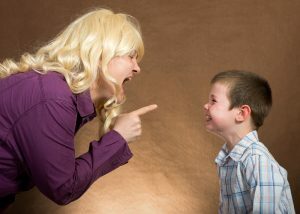 If you find yourself yelling at your children, take the time to find ways to change your behavior regardless of how young or old your children are. According to Psychology Today, children who’ve been raised in a household of yelling have an increased chance of developing behavior issues. Spending extra time with your kids might be the last thing you want to do if you’re yelling all the time. But if your child is rebelling or being disrespectful, often it’s an unknown cry from your child they want more of your attention. I was pretty sure my son didn’t want any more of my time because he acted like he wanted nothing to do with me. So I followed suit, and we fought all the time. However, the most significant decline in the yelling in my house is due to spending 10 minutes alone with him each day. Read or listen to audiobooks on how to parent scream-free. The more content you soak in on the behavior you want to imitate, the more likely you are to do so. Keeping your mind engaged in ideas and scenarios brings about change quickly and permanently. My favorite resources are listed below. The book Yell Less, Love More: How the Orange Rhino Mom Stopped Yelling at Her Kids helped immensely on my road to stop yelling at my kids. If you want to skip the book, then at least pick up the free app that tracks how many days you went without yelling. Search for “Orange Rhino Challenge.” You set goals and journal your yelling trigger points within the app. I involved my children on the journey. They would ask me how many days I’d gone without yelling or would tell me when I needed to reset the timer to zero if I shouted. As a single parent, I realized quickly I needed accountability even if it was from my children. 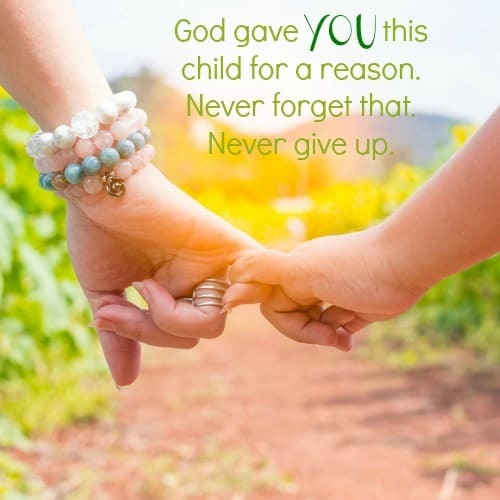 At the end of each day, review how you reacted to your children. Journal on paper or on your phone anything that set you off and why. When you can identify your trigger points (hunger, late for work, multitasking), you’re more easily able to locate a solution, so next time you can handle the situation differently. Go through this exercise without being hard on yourself and remind yourself tomorrow is a new day. As a single parent, we can’t shut our bedroom door and come back out when we have calmed down. Having another adult in the house helps to break up the dynamic. My child or I wouldn’t dare yell or say those things with someone else in the house. We say “let it go” a lot but rarely mean it. Once I considered if the situation was worth a possible altercation or not, I let a lot of things go – for real. I can’t tell you how many times I would start a sentence then stop it. I still do when I realize I don’t care. We’re going to be late to many places; the kids aren’t going to bathe daily, they aren’t going to eat everything (anything?) I prepare for dinner. It’s not worth a 2-hour scream fest. Twelve years later my kids still have nights where they cannot fall asleep, or one ends up in my bed. What I’ve had to do is relearn my reactions to their behavior. If I make a huge deal about my children falling asleep perfectly in their own beds at a particular time each night, then it adds stress for all of us. I used to yell at my children to go to sleep. I have no idea how I thought yelling would work. All logic goes out the window when you’re working off emotions. When I get upset, then a child cries, it would take forever for them to fall asleep. If I handle it calmly, then they fall asleep so much faster. One of the most stressful times for everyone is when the parents come home from work and the children come home from school or daycare. These are times everyone needs time to decompress, and nothing should be expected out of anyone. Kids are “on” all day at school, give them some space when they come home. Another stressful time is before bedtime and before school or work – either time is a signal to your child they are about to be separated from you. Seeing this from their point of view allows you to go through the motions with more compassion, prepare a comforting routine for them and slow down. As a single parent of young children, I wasn’t able to take 5 minutes to myself to calm down. If I went to my bedroom to calm down, my children would follow me, yelling at me. If I went outside, they would still follow me, but often the yelling and crying would stop. The change of scenery and nature of the outdoors would help. Remind yourself it’s your child’s job to act like a child right now. If your child is making annoying sounds, testing their boundaries with you, being lazy (a.k.a. playing), all of this is their job as a kid. The book “Boundaries with Kids: When to Say Yes, How to Say No” has a great chapter about this. God wants to help with this. He desires you live in harmony with your children, building them up. Take responsibility for your own emotions. In “Screamfree Parenting: The Revolutionary Approach to Raising Your Kids by Keeping Your Cool” by Hal Edward explains the most significant factor in our yelling at our children is our own emotional reactivity. When challenging behavior arises, I check my reaction first. Some days my gut response is to yell. I still mess up. But each time I do, I either recognize it instantly and ask my child to forgive me, or I ask myself later how could I have reacted differently? At times I find myself falling back into the trap of yelling instead of taking the time to work through the hard stuff. When extreme stress hits me, I know I’m especially vulnerable. Making a concentrated effort to change is the first step. Giving yourself grace is always the second. This article is part of a seven-month series, Secrets of a Successful Life by Single Mom Bloggers. This month, the topic was parenting. Please head on over here and check out the other blog posts and the rest of the series. Break the habit of yelling at your children with these 11 little known tricks. Live scream free with your kids regardless of the age of your children. Previous Post: « What are Hydrosols? Only the Best Kept Secret! Jennifer, I love the idea of using an app. I definitely need to check that out. Thanks for the great words of wisdom. God bless you.